“Four Redwings and three One-Designs made it for Friday evening’s racing. Although it had been hoped to have a single start to speed things up, in the end the Redwings went off first into the ESE F3 breeze and typically sloppy sea. 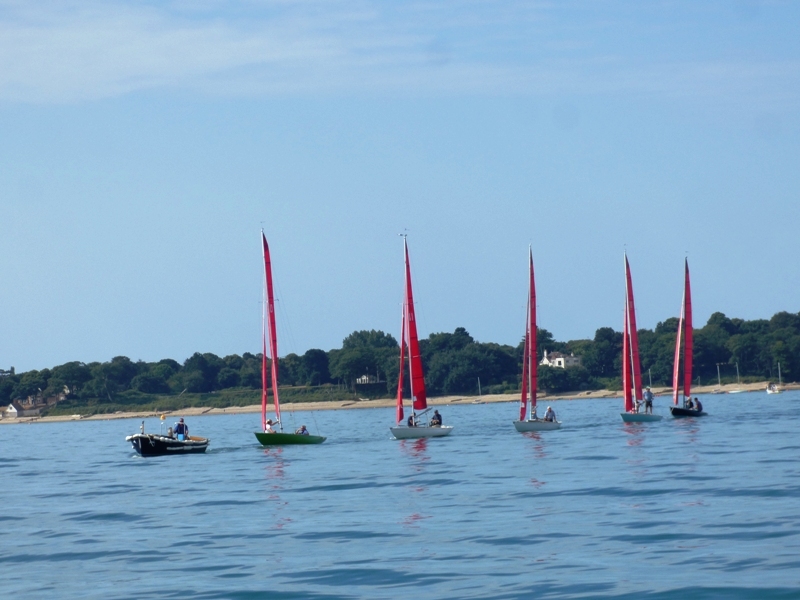 All made a good start from Footprint and initially split tacks as they made for Tara, however it was not long before they had all headed inshore to take advantage of the tide. 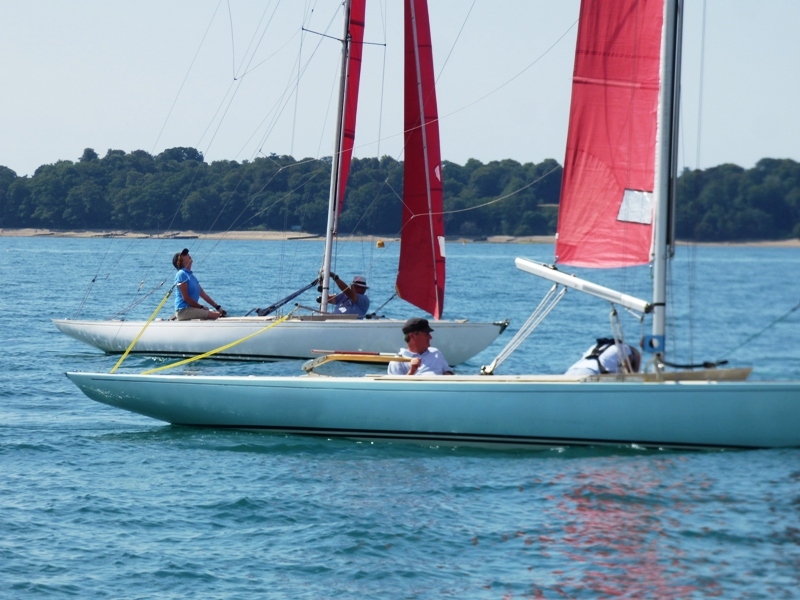 Joe Robertson in Red Gauntlet II was first round with Robin Ebsworth in Quintessence 20m or so behind. Olav Cole in Goose sailing single handed was third round with Mike Toogood in Tara not far behind. Although there were no place changes on the run to Nainby nor on the beat back to Under Tyne, Joe managed to extend his lead and finished a couple of minutes ahead of Robin. The three One-Designs had a good start but it was not long before Russ Fowler & Simon Allocca in No 1 made it clear who was going to be first at Tara. Inevitably progress through the slop, particularly as they were using normal jibs was quite slow, and there was little respite by going inshore out of the tide. Russ was indeed first to reach Tara with Sarah Marshall in No 7 with friends crewing someway behind and Charles Evans in No 10 even further back. The run to Nainby was quite slow and victory for Russ looked certain, and although that was indeed what happened, Sarah did make up a lot on the final beat to the line and finished only thirty seconds behind. Saturday’s forecast which suggested little or no wind at the scheduled start time of 10:00 was pretty spot on, so after considerable discussion it was decided to postpone for an hour and see how things panned out. In the event the start sequence for the nine Redwings was initiated at 11:04 with a 5 knot breeze from the SE. However with the countdown nearing the final couple of minutes it dropped off and left Blue Jay II, Toucan & Paroquet the wrong side of they line. All eventually managed to correct and then have to play catch up as the fleet headed to Tara. Indeed, Colin Samuelson in Toucan not only caught up but was first to round Tara and then held the to lead to finish a minute ahead of Joe Robertson in Red Gauntlet II. Olav Cole in Goose was third. There were only three One-Designs which was a bit disappointing. Alexander Ross in No 11 won the first race with Andrew Palmer in No 3 second and Martin Bonham in No 2, having started a bit late, finishing third. 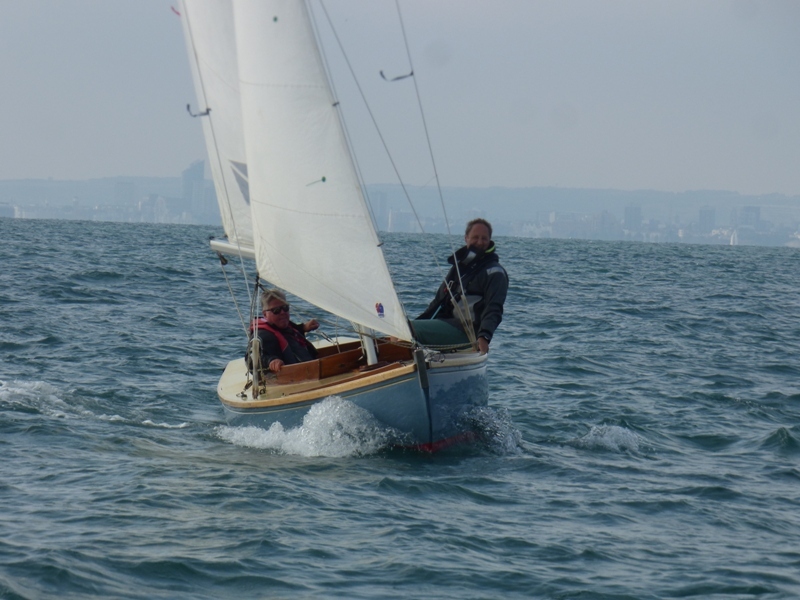 For their second race, the Redwings opted to risk the breeze holding and the tide not flooding too quickly before they made it to Cochrane and back to Fitzwilliam. In the event, after some challenging tacking, Colin in Toucan and Meri Benham in Paroquet just made Cochrane before the breeze dropped slightly and the tide strengthened leaving the rest of the fleet struggle to get round. This resulted in the front two boats finishing a long way in front; Joe in Red Gauntlet II was third five minutes after Meri. Wisely the One-Designs were sent to Tara rather than Cochrane and as Sea Breeze could not be in two places at once and as they were well spread out, they finished themselves at Under Tyne. Alexander in No 11 finished a minute and a half ahead of Martin in No 2 with No 3, helmed by James Palmer a couple of minutes later. 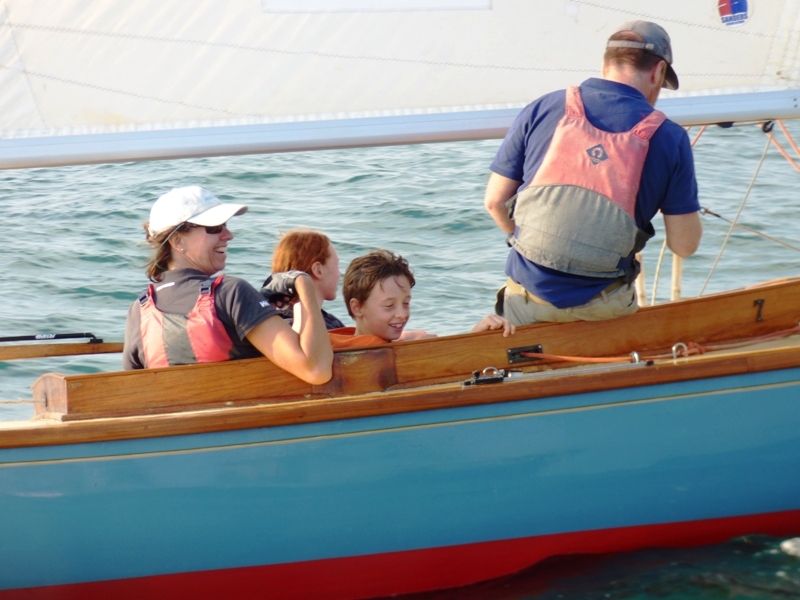 Although postponing Sunday’s races to the afternoon was certainly considered, in the event there was just enough of an offshore breeze to persuade crews that a morning race was viable. So nine Redwings and four One-Designs rigged up only to find that when they came to drop their moorings the breeze has disappeared almost completely! Seabreeze therefore headed off the Janson to see whether there was still any chance of getting a race started. 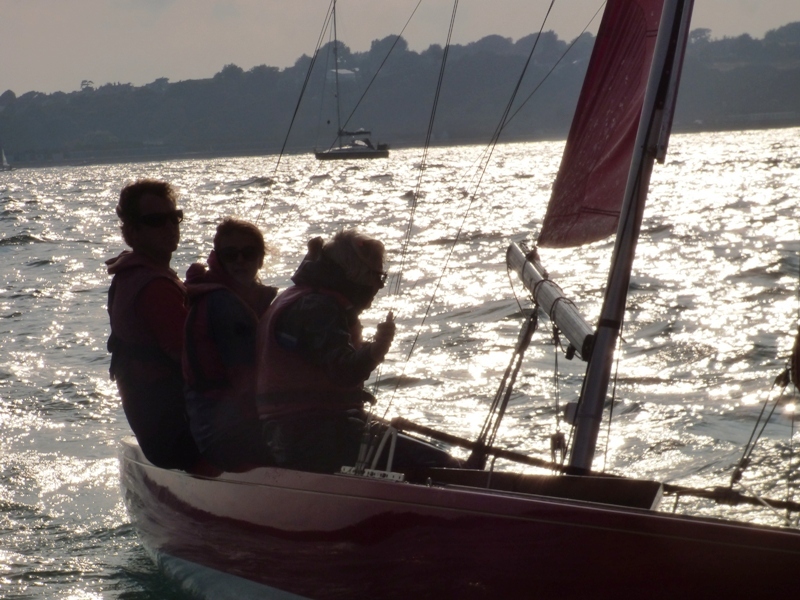 Although fickle and with every chance of the wind veering to the East, the decision was made to give it a go, so Rod & Charlie towed the Redwings out to the line at Janson to speed things up. With the light NNW’erly looking to hold, Derrick was the obvious windward mark and while Quintessence, Blue Jay II & Redwing started at the pin end, the rest were well spread out along the line. Colin Samuelson in Toucan was the first to tack and was followed by at least half the fleet, however about half way up the beat, the breeze dropped off and veered initially to the North and subsequently to the East and it was anyone’s guess who was going to come out best if/when the breeze came back in. Robin Ebsworth in Quintessence took a gamble and by keeping to the far left of the box emerged as the leader as the fleet closed on Derrick from various directions. Having thought that it might have been necessary to shorten the course at Derrick, the Race Officers were relieved when the light breeze came in from the East, so rather than shortening, the C Flag was displayed and the course was changed to Britten with the finish at Janson. Mary Luxmoore-Styles in Capercaille was second round Derrick; followed by Hugh Tidbury in Enigma, Meri Benham in Paroquet, Mike Toogood in Tara and Colin in Toucan. On the reach to Britten, Toucan made up a couple of places and made it up the third after the short but challenging beat to the line at Janson. Robin in Quintessence held his nerve and took a well deserved first place, twenty one seconds ahead of Mary in Capercaille. Happy Birthday Robin! 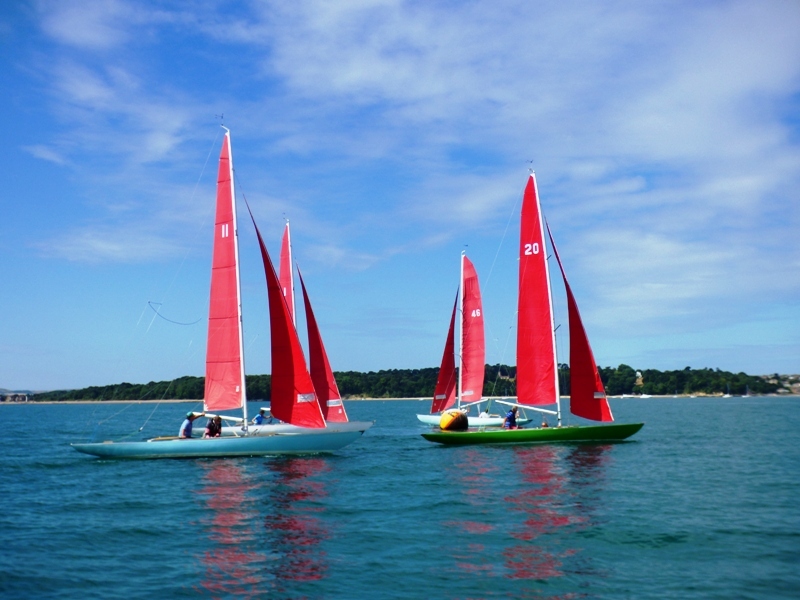 Four One-Designs had left their moorings and although they eventually all made it to the start line, they wisely decided that there was not enough of a breeze to make a race worthwhile so they all accepted a tow back to their moorings. 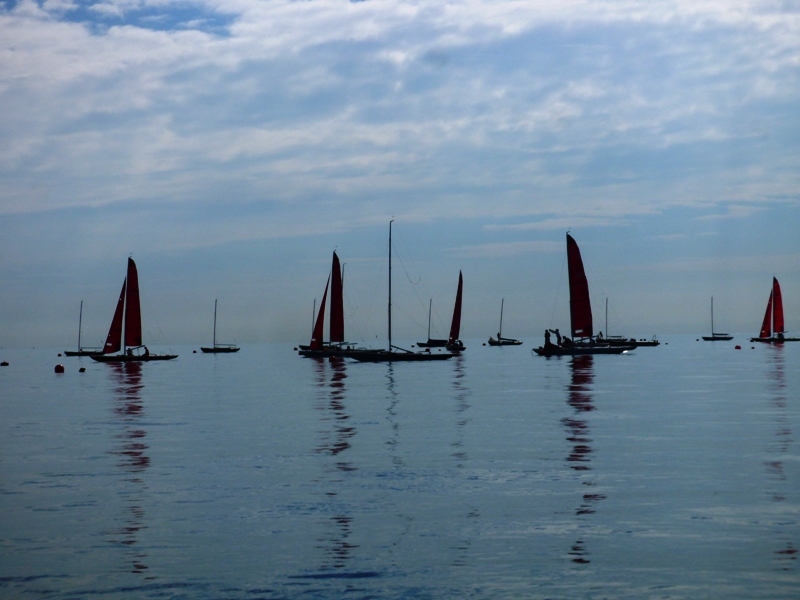 Hopefully they will have better luck this coming week when quite a few of them are heading up to Cowes to join in Cowes Classic Week.